Hyundai EON LPG cheapest car is the Hyundai Eon. Hyundai Eon’s success leads the company to introduce its LPG variant of the car. 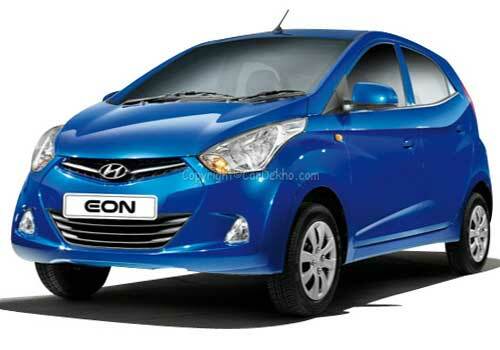 This model of Hyundai Eon is going to launch in the middle of 2012. This car is best for those who want to buy an economy car and with that it’s too stylish and good looking also. Hyundai Eon Price starts from Rs 2.69 lakh which is quite an attractive and very affordable price but the LPG model will go to increase the price of the car by Rs 80,000. According to Hyundai Eon Review, the Hyundai Motors will equip the EON with LPG kit with the compatibility to switch between the petrol and the LPG option to increase their sales as in coming months the price of petrol and diesel seems to high than LPG, and the price of diesel engine technology is also high. The auto major has developed this version of Hyundai Eon by incorporating various strategies to overcome the high price to give a tough competition to its competitor Maruti Alto.